MAROELA HOUSE with its enchanting garden and sparkling pool. Garden Suites offer every comfort in a relaxed, private and peaceful environment. 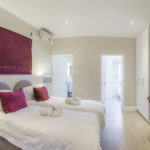 For the tourist, MAROELA HOUSE, situated beween Cape Town and Stellenbosch, has ideal access to all attractions – we are delighted to offer tips and suggestions to enhance your visit to the Cape. 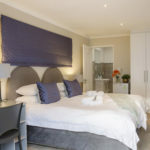 The business visitor travelling to Bellville, Tygervalley and Parow areas, will find MAROELA HOUSE is a quiet retreat, with a quick and easy commute to areas north of Cape Town.